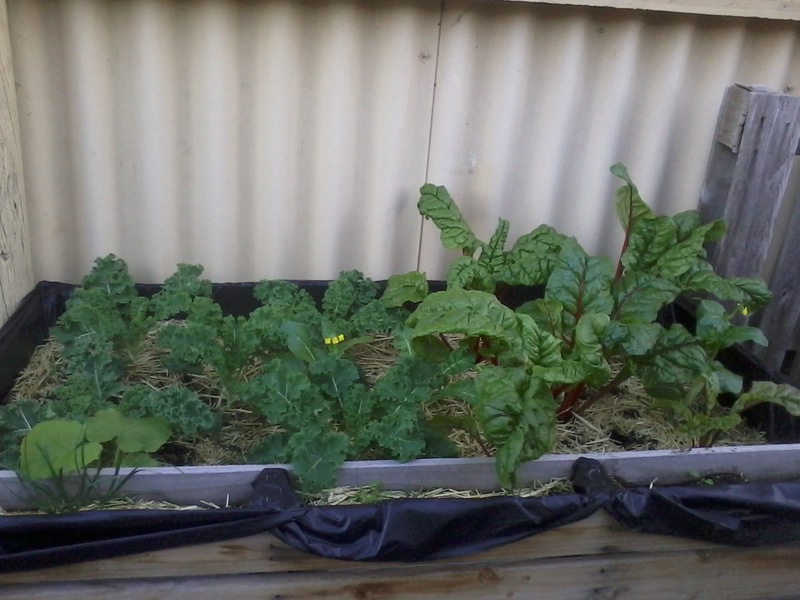 Winter veg garden growing strong. I haven't posted my frugal tasks for a few weeks and I apologise for that. It has been a hectic few weeks! Last week we had Mr 10's follow up appointment to see how he is getting on after his surgery and also our yearly home education moderator visit. Both went very well (despite me stressing!) He is now fully healed and fingers crossed, there will be no further issues. It has been another great year homeschooling my little guy and I am very grateful to be able to do so. This week I have been making myself a skirt for Supernova Pop Culture Expo we attended yesterday. Miss 17, Mr 10 and I cos played as characters from Steven Universe and had such a great time! Anyway, here are some of the frugal things I've been up to lately. -One of my goals is to learn more about local weeds for edibility and medicinal uses. A friend of mine recently made some dandelion jelly, so I did some research and a foraging we went! We picked 3 cups of dandelions, I picked all the petals off and made 4 smallish jars of dandelion jelly and also have some petals infusing in olive oil to make a healing balm. We also picked some lavender flowers and lemons while exploring. -We were also super excited to discover we have a Madeira vine in our garden. We had always just thought it was a weed! It grows exceptionally easy and despite our efforts to curb its growth, it just goes wild. Madeira vine leaves can be cooked and eaten like spinach- free food at its finest! -Baked a whole orange cake, used up some soft apples in the fridge and made an apple and berry crumble, plum cake using some frozen plum compote I had and a carrot cake. -Collected rain water in large buckets and use this on our vegetable garden. -Bought 4 large Queensland pumpkins for 29c a kilo and 14 kilos of baby potatoes for the same price. 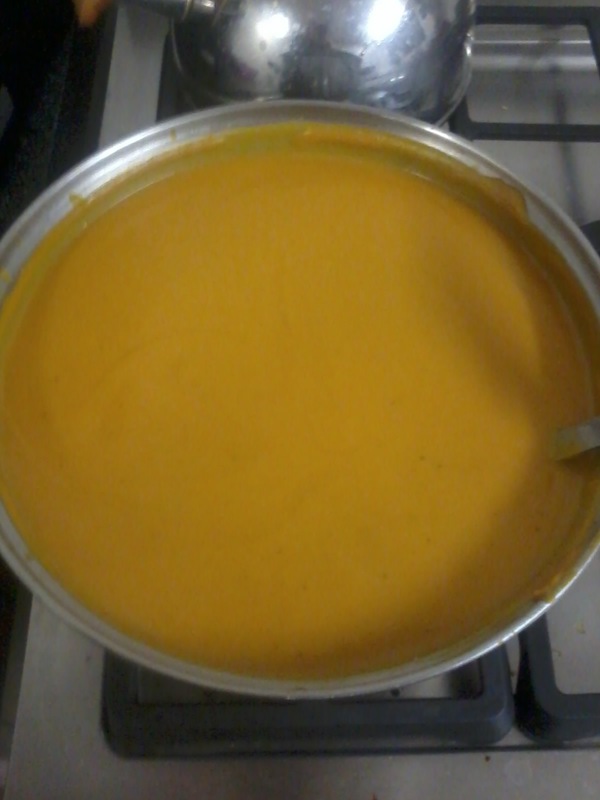 I have cut one pumpkin up and made a big batch of soup and also baked pumpkin for the freezer. The rest is stored on a table outside to use later. 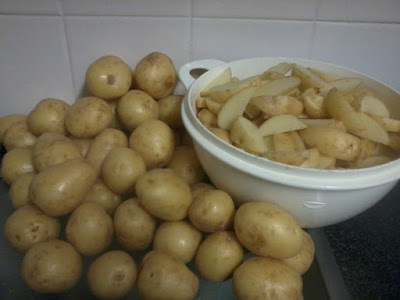 I have blanched some of the baby potatoes and then put them on baking trays to snap freeze over night, ready for storing in zip lock freezer bags. I also cut up heaps in wedges and froze them so I can just spray with oil and bake in the oven for an easy meal. I do this often when there is a great sale on fresh produce. -I don't like to use our dryer unless it's an emergency so have been using clothes airers either outside if it's sunny or inside when the weather is wet. 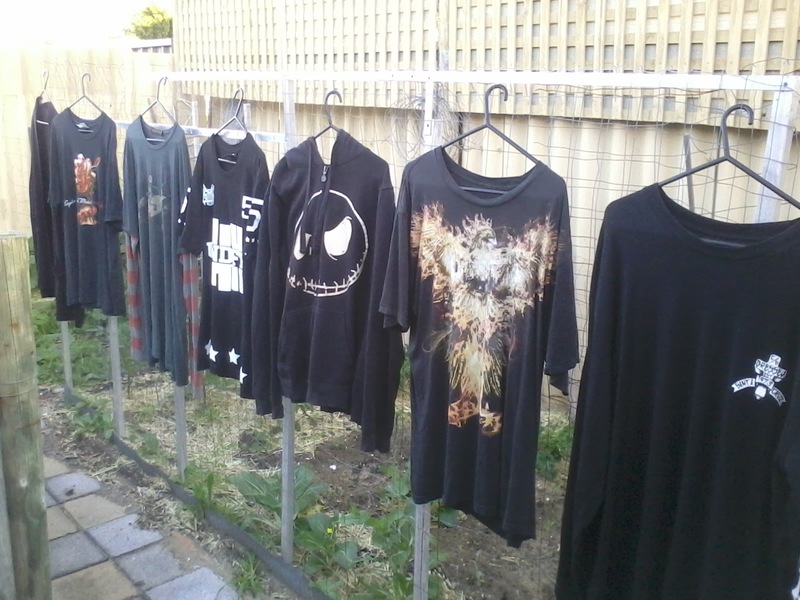 I don't use the washing line much, because in winter it is in the shade and the clothes rarely get dry this way. We have lots of fencing around our pool and vegie gardens, so I bought some cheap plastic coat hangers- $2 for 10 at the reject shop and have been hanging our shirts on the hangers and attaching this to the fence. When the sun is out, the tops dry so much faster this way, even jumpers. 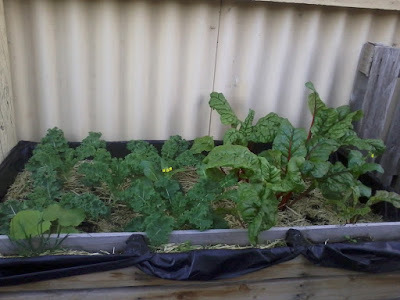 -Did the usual 3 minute showers, saving the shower warm up water, swept the floors instead of vacuuming, got free bread from the op shop and picked greens from our vegie garden. -Made a batch of laundry gel which will last us another 6 months. -Stretched my grocery shopping out by an extra 3 days by using up what I had left in the fridge for dinner. -Bought a couple of 12 pack cartons of long life milk that were on a great sale. 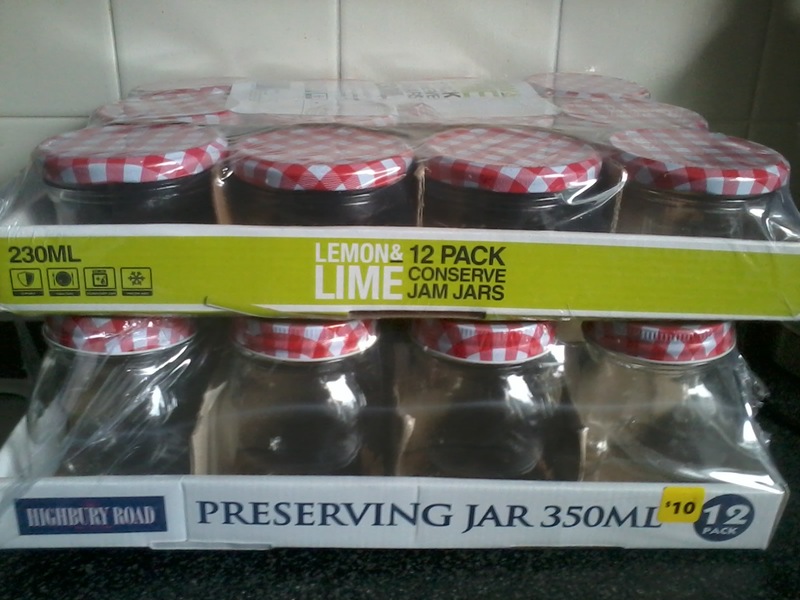 -Bought some glass jars from The Reject Shop which cost 83c each. These will be used for the dandelion salve and anything else I make. 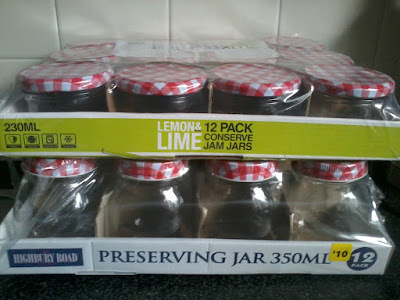 I do reuse any glass jars we have, but because I don't buy ready prepared jams and sauces I don't get many. 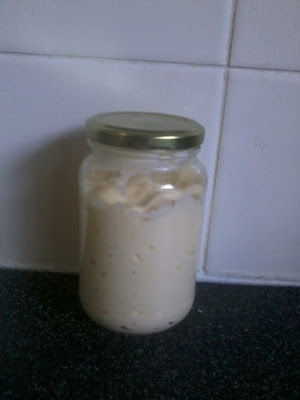 -Ran out of creamy salad dressing so made some garlic aioli instead. If you haven't made it before, give it a try. I just use one egg yolk, a bit of lemon juice or kombucha vinegar and beat this a little, then very slowly add a small amount of oil- beating well each time until it becomes creamy, then I added 2 finely chopped cloves of garlic. But there are plenty of recipes online. I like to pay $1 or under for jars. 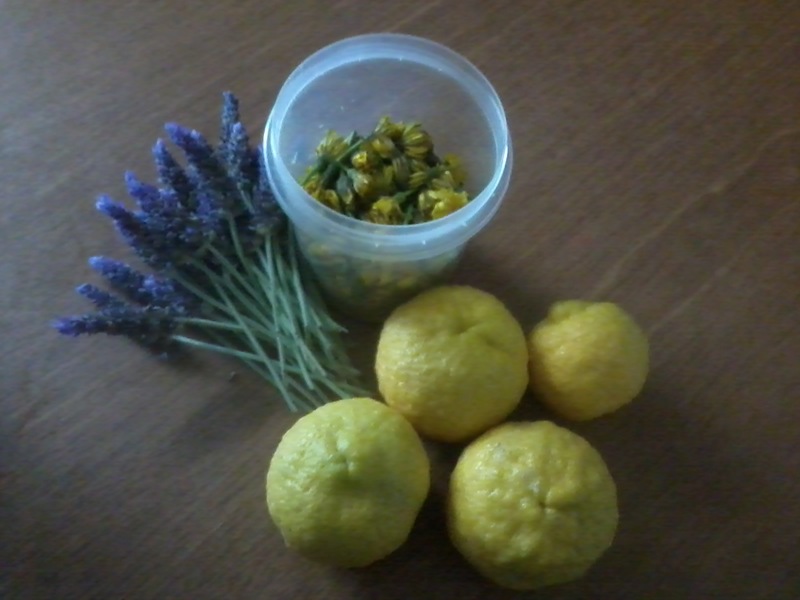 Foraged dandelions, lemons and lavender. Black is the new black. Washing hanging on the veg garden fencing. 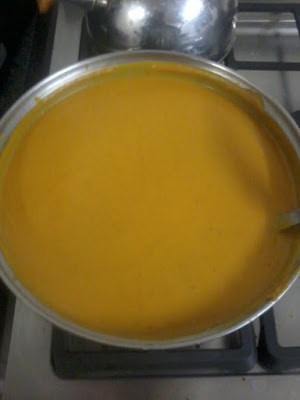 Huge pot of pumpkin soup. Some for eating and the freezer. How long does the aioli keep? It looks like it makes a fair volume by your photo, was that from one or more egg yolks? Thank you so much. I'm glad you liked Supernova, it's great kids under 12 get in for free. We have only ever had a positive experience there with everyone being so friendly and polite. Sounds like you have had a great frugal week Mel. We collect jars too(free). I ask everyone I know to save them for me, otherwise I collect from op shops. I have also purchased some in the past from the cheap shops. We prefer the smaller jars for our preserves etc. That way we can barter and gift them to family and friends.The other advantage is that once opened they don't take long to eat, rather than a large jar being opened sitting in the fridge waiting to be finished. Glad to hear your son has recovered well. Thankyou. I also much prefer the smaller jars for those reasons. That's great you ask people to save them for you, I think I'll do the same. The op shops near me charge around $2-3 for a jar, and some are just old pasta sauce jars too! So if I see any for $1 or under I know that's a good price!